J1939 to Modbus RTU Gateway. Allows data communication between Modbus RTU and J1939 CAN devices. supports PDU1, PDU2, broadcast and destination specific type of J1939 messages. Comes with software utility for configuration. Supports operating temperatures of -25 ~ 75 ℃ (-13F ~ 167F). GW-7228 J1939 to Modbus RTU Gateway is a solution that provides a communication transformation between J1939 protocol and Modbus RTU protocol. For J1939 CAN networks, the GW-7228 supports PDU1, PDU2, broadcast and destination specific type of J1939 messages. 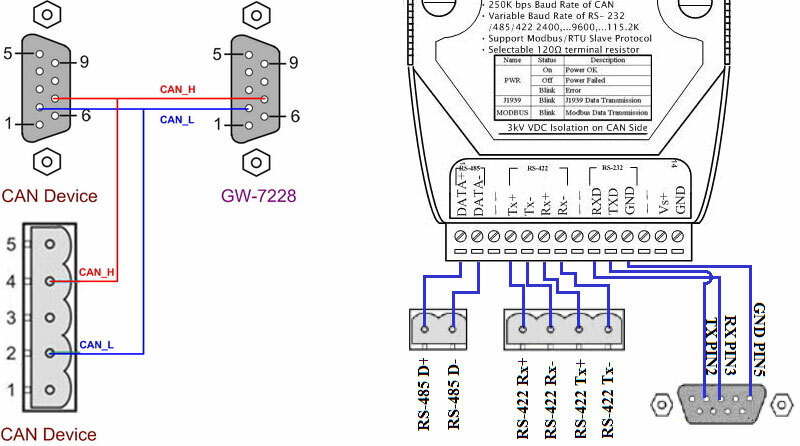 From Modbus RTU networks, From the view of Modbus RTU network, the GW-7228 is a Modbus RTU slave to replies to requests from the Modbus RTU master. We provide a software utility software for users to configure the GW-7228 parameters of CAN J1939 / Modbus RTU. 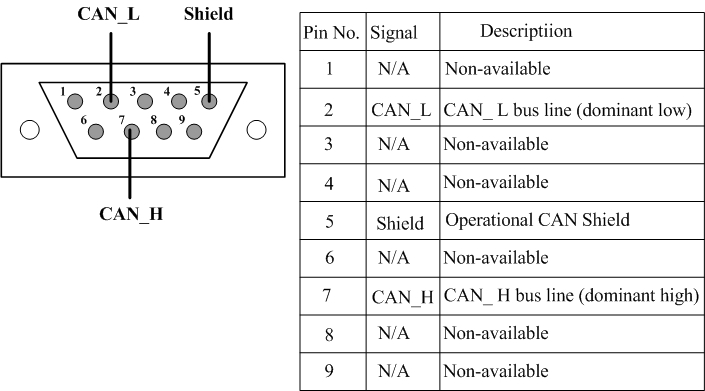 The application fields can be Diesel power-train applications, In-Vehicle networks for trucks and buses or wherever you need to allow communication with CAN J1939 protocol. GW-7228 is a J1939 Communication Device that allows you to join J1939 and Modbus RTU networks. Transmission and reception of all types of J1939 messages, including PDU1, PDU2, broadcast and destination specific. J1939 Transport Protocol for transmission and reception of large messages (9 - 1785 bytes). Supported BAM / CTS / RTS of Connection Management Message. Supported Modbus RTU slave protocol. Configurable for Modbus Network ID(1~250). Configurable baud rates of 2400, 4800, 9600, 19200, 38400, 57600, 115200 bps. Configurable for no, odd, or even parity and 1 or 2 stop bits. Support Function Code 03 / 04 / 06 / 10 of Modbus functions for reading and writing J1939 Messages. Provide Modbus network configuration interface. Provide J1939 Input / Output configuration interface.